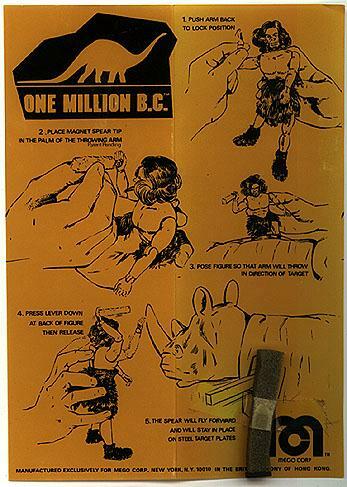 A Tribal Lair treehouse was protyped and advertised on the card back, but was not produced. 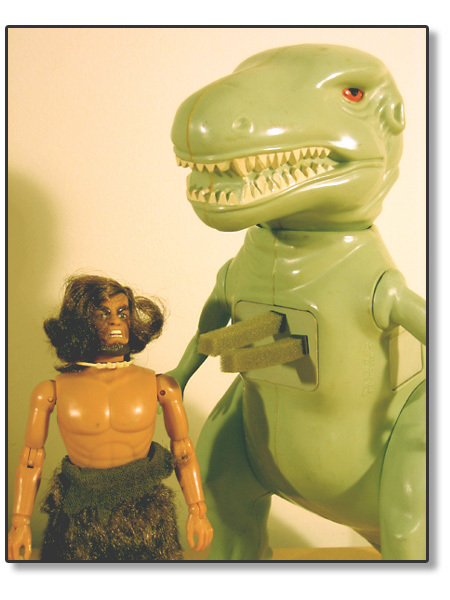 The cave family also had a Tyrannosaur, Dimetroden, and Hairy Rhino to populate their prehistoric adventures. 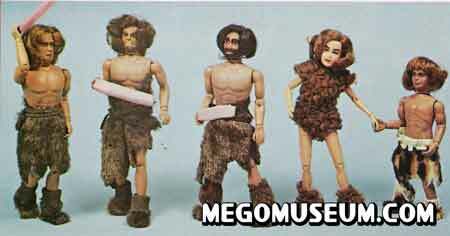 The cave man series produced a number of unusual features for the 8 inch format. 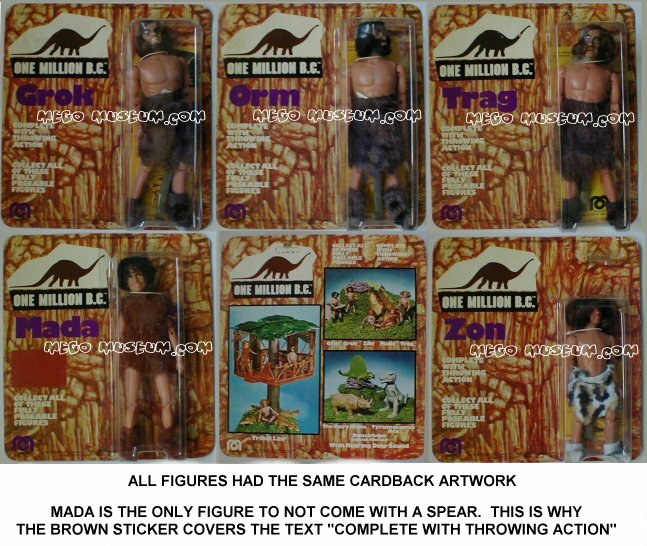 The figures have fused torsos (no waist unit) to accomodate the “Spear Throwing Action”. Lacking the waist unit, the bodies have trouble standing up. They are hard to pose, especially in their furry shoes. John Banavita noted it in his book, but I missed the fact that the spear is a foam dart with a magnet on one end…I had always assumed that they came with, y’know, SPEARS. Before Iron, Bronze, and Stone came the Foam Age.